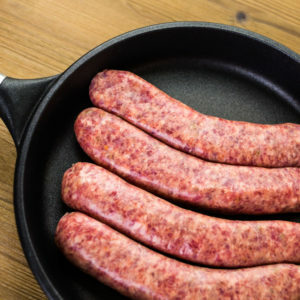 4x Spicy Bratwurst to 1 lb. 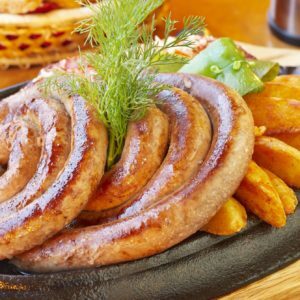 Similar to our traditional Bratwurst recipe however with a spicy more fiery paprika taste to it. 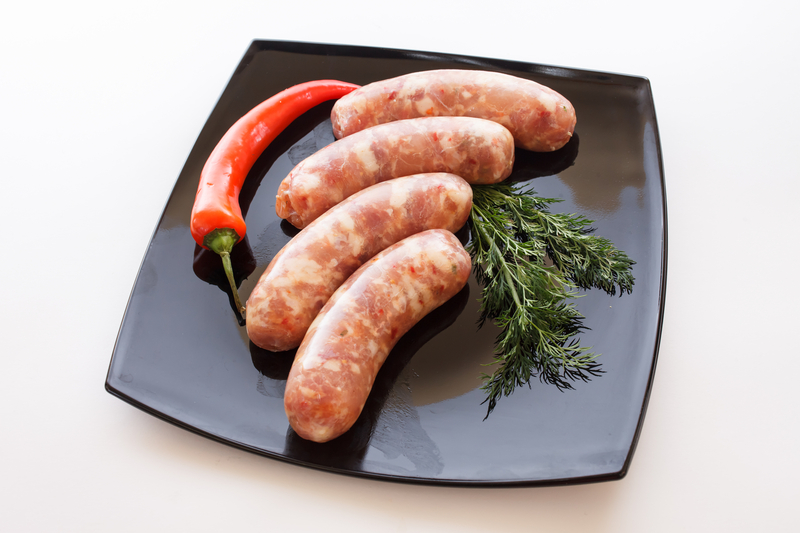 These sausages go perfectly with a beer or two to cool down the fire. 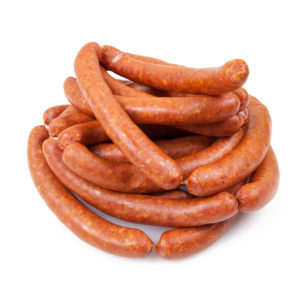 Great taste and loved by all people that like spicy or hot food. If you have a smoker, put it in there. It’ll be spicy AND smoky. What a treat. 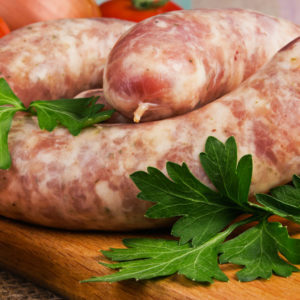 Check out our other Brats and products here.